SURVEYING the wreckage of markets in 2018, it is human and therefore tempting to put the more optimistic (contrarian?) 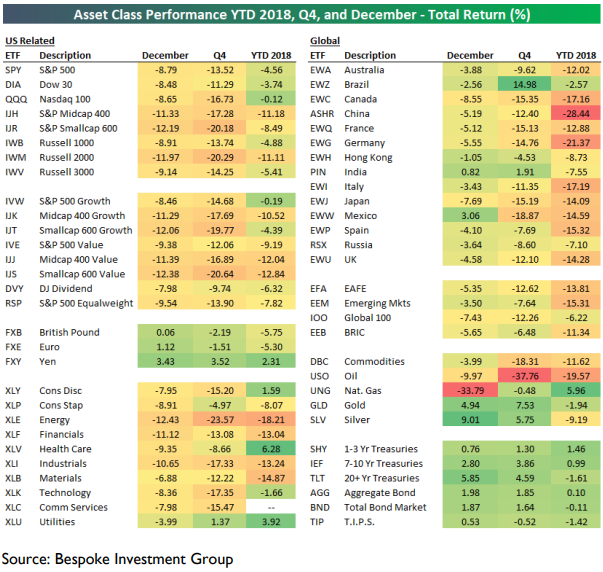 case for the year ahead, wries Tim Price – co-manager of the VT Price Value Portfolio and author of 'Investing through the Looking Glass – on his ThePriceOfEverything blog. But our job for the medium term is to protect and grow our investors' capital, not to be optimistic simply for optimism's sake. 2018 was an annus horribilis not just on account of the severity of certain market declines, but on account of the universality of those declines. No major market was spared. Apparently, and seemingly uniquely, the Qatari stock index managed to put in a positive return for the year as a whole. Perhaps we should all seek to be embargoed by Saudi Arabia. As we have written before, historians tend to break their sources down into two types. There is the primary source – the eye-witness account, say, of a major incident, from someone physically present at the time. And there is the secondary source – a journalist, say, phoning it in. Which is why we cite the Gell-Mann amnesia effect, just in case anybody still takes financial journalists seriously any more. "Briefly stated, the Gell-Mann Amnesia effect is as follows. You open the newspaper to an article on some subject you know well. In Murray's case, physics. In mine, show business. "You read the article and see the journalist has absolutely no understanding of either the facts or the issues. Often, the article is so wrong it actually presents the story backward – reversing cause and effect. I call these the 'wet streets cause rain' stories. Paper's full of them. "In any case, you read with exasperation or amusement the multiple errors in a story, and then turn the page to national or international affairs, and read as if the rest of the newspaper was somehow more accurate about Palestine than the baloney you just read. You turn the page, and forget what you know." - Michael Crichton (1942-2008), quoted by Ben Hunt in 'Gell-Mann Amnesia'. In markets, there is only one primary source: the non-negotiable history of the price, as determined in a free exchange between willing participants. 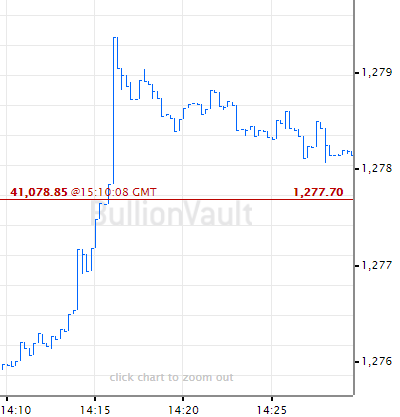 Everything else is a secondary source, and certainly market commentary from the financial media, which is always and for all time a long way from any objective reality. Fundamentally, however, there is another primary source, and in the world of listed equities it is one that trumps even the price. That source is the company itself, reporting on the health of its underlying operations (honestly, one trusts – which is one reason why our portfolios have no or negligible exposure to the emerging markets of China and India, where corporate governance is literally another country). The slow waltz between these primary sources can be seen nicely in the chart below. The chart shows three lines. Let's account for the pink line first. It's the S&P 500 stock index. Over the last 23 years, the US market has returned 446%. The admittedly more volatile white line denotes the share price of Seaboard Corporation itself. Seaboard is a diversified agribusiness which, in the interests of full disclosure, is a stock we own and love. 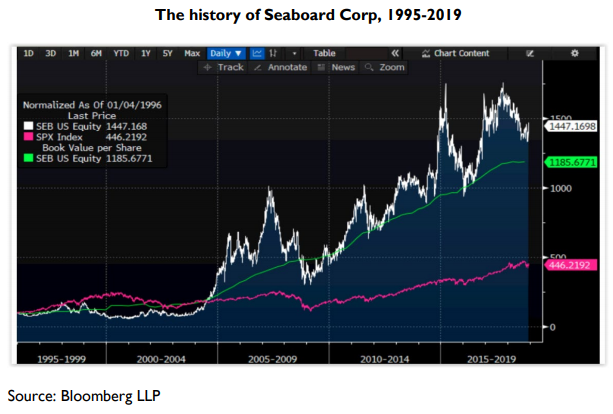 Over the last 23 years, Seaboard has generated returns for its shareholders of 1447% – albeit hardly in a straight line. Which is where the third line comes in. (The third line being our super-primary source, as discussed above.) The third, green, line denotes the book value per share (or intrinsic value, if you prefer) of Seaboard Corp. Note that whereas the share price is wildly erratic over the shorter term, the growth in book value is a sedate festival of sweet rationality by comparison. It's certainly a far smoother upwards ascent. Our takeaways from this slide? There are clearly companies out there capable of beating the market. Not that this is our primary objective. 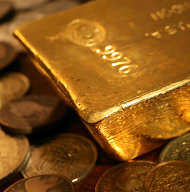 Our primary objective is to protect our clients' capital. 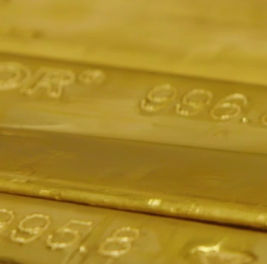 But if we can secure outsized returns in the process, so much the better. Over the longer term, the share price – at least in the case of Seaboard – tends to track growth in the company's intrinsic value. But in the shorter term, the share price can trade at both a sizeable premium to intrinsic value, and also (more rarely, in this case) at a discount to intrinsic value. Provided the company in question is sound, and is run by highly competent, shareholderfriendly management, being presented with an occasion to buy the shares at a discount to the company's intrinsic value can be a hugely attractive opportunity for longer term profit. There are only four takeaways. And there only need to be. Too many investors are distracted by the noise of the stock market to focus on the underlying numbers that matter – those provided by the companies themselves. But even more helpfully for active investors, there is now a giant cohort of investors who have essentially abandoned the search for value and are content to own everything in the market, provided the vehicle they can do so within charges only a modest fee. The phrase 'penny wise and pound foolish' springs to mind. "A small firm I am involved with overseas advises a few clients on portfolios, but as that is regulated advice within the EU we have to use a 'prescribed process' to satisfy the regulator (I am sure you know how that works), Otherwise we would not have a MiFID licence. "We are encouraged to only use highly liquid UCITS type funds. They are obsessed with, amongst other things, liquidity. So we use [name of financial planning service redacted] – problem is it's all based on historic price patterns for various asset classes and considers bonds being 'the safe part' of the portfolio. 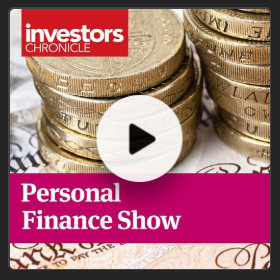 "There are apparently 6500 advisers (mainly UK based) following that system now, so all of their clients are being placed into portfolios that are guaranteed to suffer heavy losses if interest rates rise as equities fall. The vast majority of UK IFAs (those that do not delegate everything to Discretionary Fund Managers) are now using this methodology as it keeps them on the right side of the UK regulator and keeps their Professional Indemnity Insurance renewals sensible. "I think there are many advisers now placing folks into portfolios that they don't believe in, but their hands are tied. Something is not right within our regulatory system here, what a mess..."
The investment policy of the rear view mirror is clearly alive and well in adviser-land. This is what a burst of inflation can do to a bond portfolio. 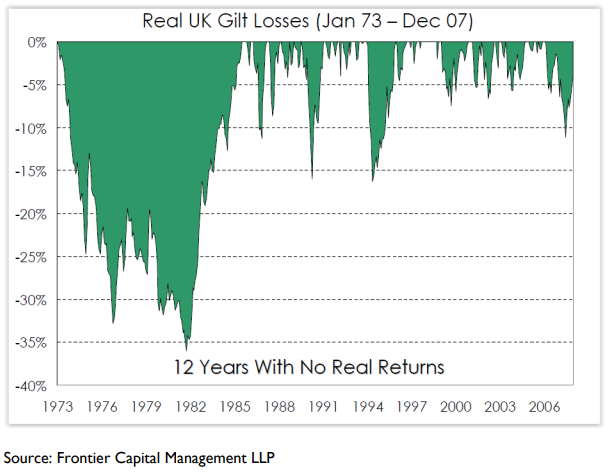 Investors who owned Gilts in 1973 had to wait until 1985 before they made any of their money back in real terms. Any Gilt investors flirting with the idea of a Corbyn / McDonnell government, you have been warned. Because if you thought Brexit was bad...! Of course, from the vantage point of 2019, it's not different this time. It's just that interest rates are slowly starting to normalise after reaching their lowest levels for 5,000 years. Any correction will surely be painless for bond "investors". So 2018 was a bust. What matters most to us in the months to come is not so much how stock markets perform (we don't own stock markets) but rather how our underlying companies perform. And if their underlying performance deteriorates markedly, we will sell them, and replace them with companies operating well, provided we can buy shares in them cheaply enough. And since the mood music of the market appears to have turned markedly atonal, we will continue to supplement our value stock investments with uncorrelated funds, and real assets, as dual forms of portfolio (and inflation) protection for the long run. We can't control the outcome, at least not in the short term, but we can at least control the investment and diversification process.